Admit it: You forgot when Family Day was and now you're scrambling for something to do during the long weekend of Feb. 15 - 17. Maybe you were too busy watching the Olympics. Perhaps you were preoccupied with Valentine's Day. Maybe you just forgot about it because it's a made up holiday. Either way, if you ran out of time to plan a family vacation to Universal Studios or Disneyland, fret not. There are still options for some last-minute family travel. Banks, government offices, schools, and grocery stores will shut their doors on Feb. 17 in Alberta, Ontario, and Saskatchewan, but major malls will keep their businesses open. And while that's nice, we're sure you'll agree with us when we say that a mall is no place to spend time meant for friends and family. 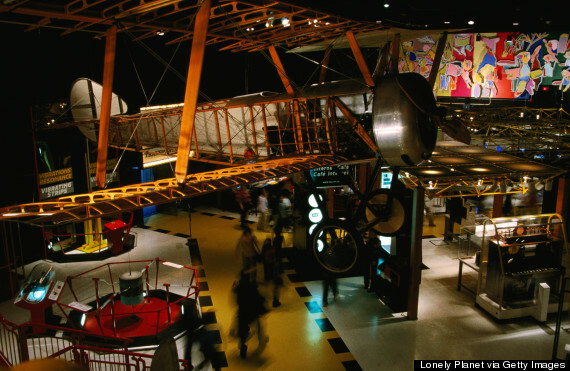 If you're looking to avoid the crowds and mall rats, give these destinations a shot. 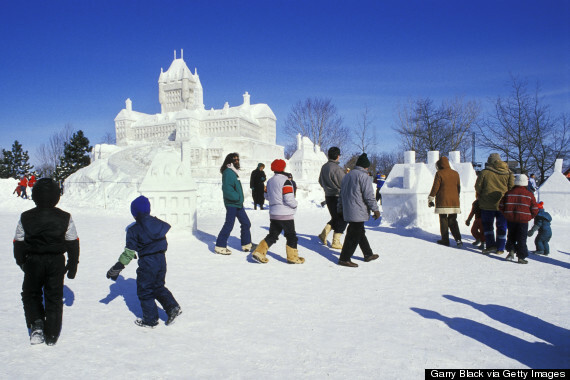 Venture over to Ottawa and catch the final days of Winterlude, a compilation of Canada's favourite winter activities. The Family Day long weekend marks the closing of the three-week festival, so expect to see plenty of locals and visitors alike. You'll probably be joining them as they skate on the Rideau Canal, play with snow at Snowflake Kingdom in Jacques Cartier Park, and dance the night away to live music. 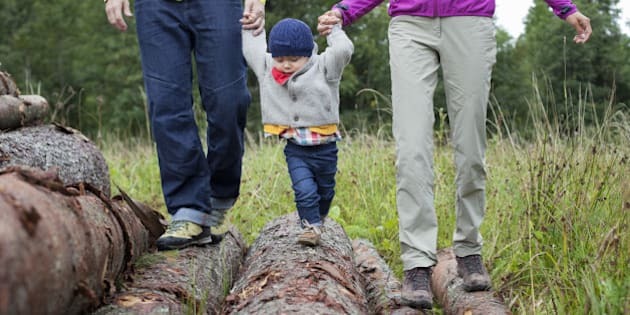 If you find yourself in Toronto for the Family Day Long weekend, some of the city's main attractions are offering family-friendly promotions. The Art Gallery of Ontario is offering family passes at a discount, while the Ontario Science Centre will be running iMax movies, planetarium shows and electricity demos, according to BlogTO. Warm Up In Hamilton, Ont. Need an incentive to get outside on Family Day? Well, if your family likes nature and hot chocolate, then make a trip to Hamilton for the Hot Chocolate Festival. 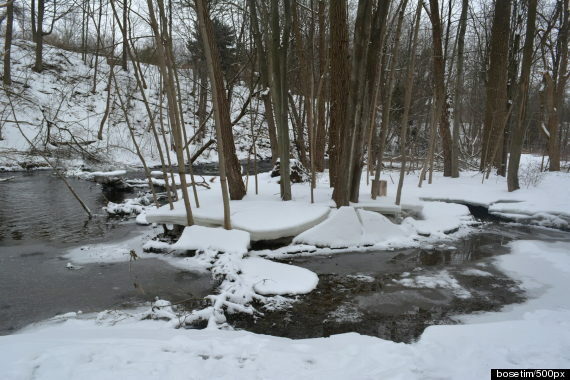 Located in the Dundas Valley Conservation Area Trail Centre, the festival lets families explore city's trail system, enjoy live musical performances, and yes, drink hot chocolate. Snowmen are back in the "cool" category thanks to the movie "Frozen," and here's a festival that gives them the respect they deserve. Make the trek to Wasaga Beach for Snowman Mania. The four-day festival started off as a snowman-building competition but has expanded to include dancing, chilli cook-offs, and toboggan runs. 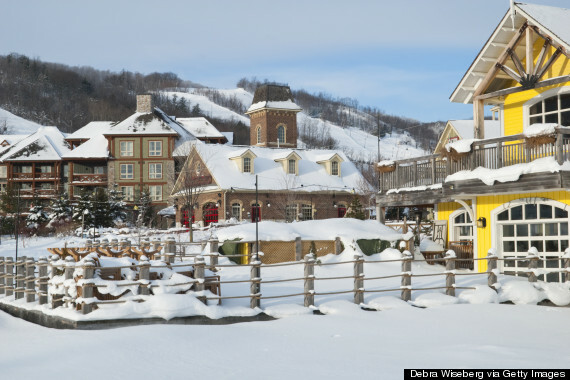 Sure, you could have a typical day of skiing and snowboarding at Blue Mountain, just northwest of Collingwood, Ont., but then you'd be missing out on the special activities that the ski resort has planned. The little ones can take part in pottery classes and scavenger hunts, while older kids can have fun at DJ skating parties or hop on scheduled wagon rides.